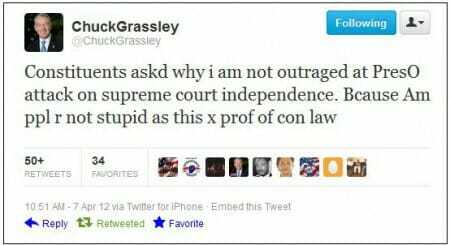 Senator Grassley tweeted yesterday that Obama was stupid for attacking the Supreme Court. Of course, the democrat-media complex is outraged over this tweet. At least, he didn’t call Obama a liar. More… Tim Cavanaugh says Obama is intellectually lazy.